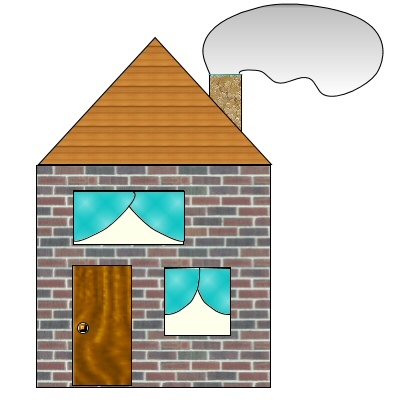 Creating the clipart house sort of following the tutorial. The tutorial was written for PSP 7 and I am using PSP 8, so I took this opportunity to try out the vectors. This is my very first vector project with PSP 8. 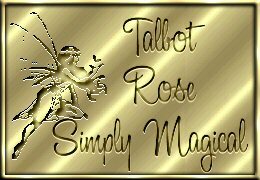 Lot of new learning going on here! 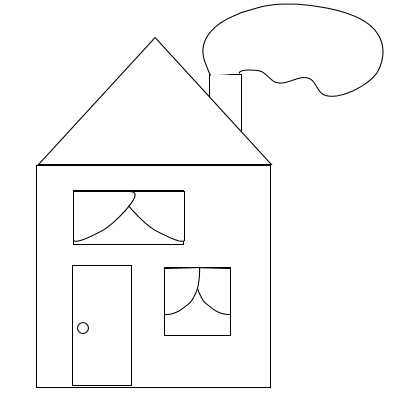 Worked on trying to use the vector tools in PSP 8 to create a house of my own basically using the preset shapes. To make this log cabin I first created a log with the elipse and rectangle. When I had a nice log shape I grouped the components and the copied and pasted more logs till I had 6. 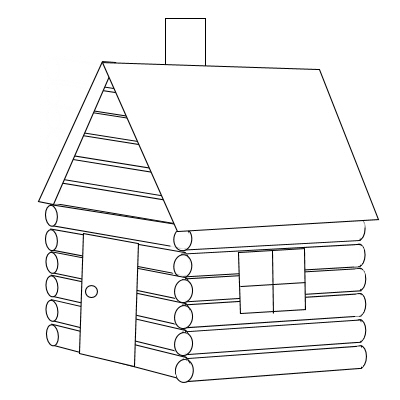 Then I grouped the 6 logs together and copied and pasted twice for the front of the cabin. Used rectangles for the roof and found out that you could use the pen tool to edit the nodes or you could deform the shape by holding the shift key and moving the parts sideways to slant the roof. 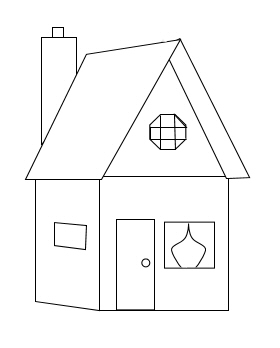 Added doors, chimney, and a window. After changing some parts to raster used the eraser to get rid of the parts of the logs which were too long. I had been so busy trying to learn how to work the vectors in PSP 8 that I never even thought to try color, pattern, and gradient fills. So I used the edit feature for the vectors and changed the fill for each of the shapes from my class example.